DIY or Hire a Professional Air Conditioning Service in Cleveland, TN? Posted on November 24, 2018 at 9:12 am. An air conditioning service in Cleveland, TN requires you to take a sensible step and call a professional or foolishly take the matter into your own hands. What we are trying to establish here is the fact that repairing or maintaining an air conditioner is the job of professionals only. Although what professionals do appear to be doable and easy, it really is not. The truth is that many times the air conditioning repair has drastically gone wrong when amateur enthusiasts attempted to fix it. Many people hate calling and waiting for hours for the technician to come over their house and examine their air conditioner. Therefore, instead of hiring an air conditioning service, they deal it all by themselves. They are under the wrong impression that an air conditioning service will charge them a fortune. And when they can do the same task at half the price then what’s the point of calling a professional. This is the mindset that needs to be changed because DIY projects aren’t as safe and secure as they may appear to be. Here we present to you some important reasons why one should consider professionals for an air conditioning service in Cleveland, TN. Regardless of the field, every individual’s work experience counts. Having a good amount of experience in your job gives a good impression on customers. You would be at ease, knowing that the technician knows his job well-enough and chances are he wouldn’t go wrong. Repairing, installing, and fixing an air conditioner are regular jobs of air conditioner repairmen. Since they have done these tasks multiple times, they are well aware of the complexities involved in such tasks. Their experience has taught them how to perform a task without any hassle. They have a tight grip on fixing any kind of air conditioning issue efficiently. Amateurs are not professional technicians. Therefore, they have little to no experience in dealing with different kinds of air conditioning issues. Being ill-experienced, non-professionals will be prone to commit errors that may end up into bigger issues. This is why it is better to consider a professional air conditioning service in Cleveland, TN rather than doing it all yourself. Technicians that provide an air conditioning service in Cleveland, TN have to go through training in order to gain expertise in their field. The training happens to last for months and years which help them develop laudable skills. Owing to these skills, a professional is able to solve air conditioning issues expertly. He is able to fix complicated problems including leaky ducts, low air flows etc. On the other hand, an amateur is not well-equipped with these technical skills. Solving these issues always seems a walk in the park but once you start fixing them, you realize that they are not a child’s play. Due to the lack of skills, you may not be able to fix the air conditioning problem properly. Chances are that you may end up confronting more air conditioning issues. If you believe that by considering a DIY route you will save your time and extra cash, you are wrong. Dealing with the internal working of an air conditioning is the toughest of all. Being an amateur, you will need to make heads and tails of the whole functioning of the air conditioner which may take hours. The next important thing that you will need to consider is how to use the tools. Thus, trying to solve an issue can take most of your precious time. 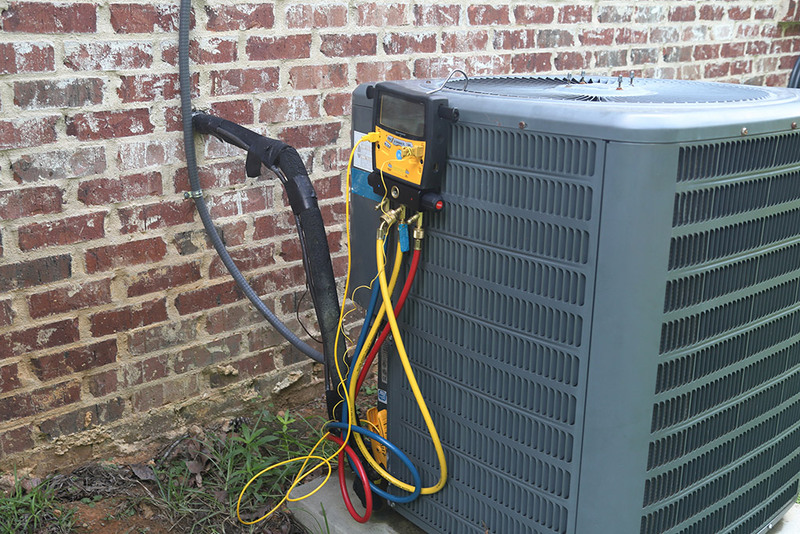 An air conditioner with complicated issues like loose wires or a faulty circuit breaker may take hours to fix. Since the professionals are well-skilled in their field, they can quickly fix these issues. So, consider a professional air conditioning service in Cleveland, TN for all your air conditioner related issues. Keep in mind that professionals are experts in solving air conditioning problems which is why they are able to fix them in a jiffy despite how big an issue is. In this case, an air conditioning service in Cleveland, TN is better than a DIY. Fixing an air conditioner on your own can cause more problems. To fix the additional issues, you would have to take a professional’s help which will add up to your total expenses. In this way, a DIY can prove to be more expensive than you would have expected. You may not realize it but a slight slip-up and you will end up in a huge mess. For example, a broken capacitor can be dangerous to handle. If hot wires are not dealt with precaution and right tools, you may suffer from an electrical current, resulting in death. However, utilizing the reliable air conditioning service in Cleveland, TN can be a safe option for you. The professionals are well-aware of the risks involved while dealing with sensitive parts of the air conditioner like electrical wires. They possess the skill of dealing them with care and attention. Without any health risk, the professionals of an air conditioning service in Cleveland, TN can fix the issue. From now on, we are sure, you will go for an air conditioning service in Cleveland, TN than a DIY. There are many reliable companies that can provide you with amazing air conditioning services. According to us, your best bet would be Metro Plumbing, Heating, Air. The company is famous for its well-trained and certified technicians. All these professionals are well-versed in dealing with all sorts of air conditioning needs such as fixing of the duct system, mini split system, thermostat etc. The company also offers emergency services. You can call them at any time or day, and get your air conditioning problem fixed immediately. Below are some of the best reviews that will assure you of the great air conditioning services of Metro Plumbing.